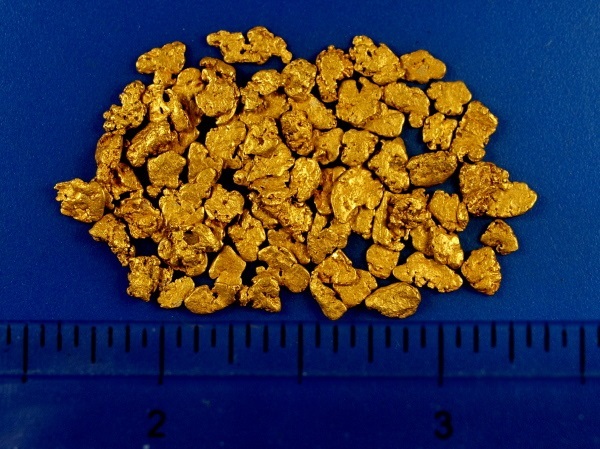 Here is a collection of dandy gold nuggets mined near Fairbanks, Alaska. Their combined weight is 7.77 grams(1/4 troy oz. ).